Rooms, services Spend some remarkable days in Czech Republic and enjoy the hospitality of Hotel Ostruvek Prague! 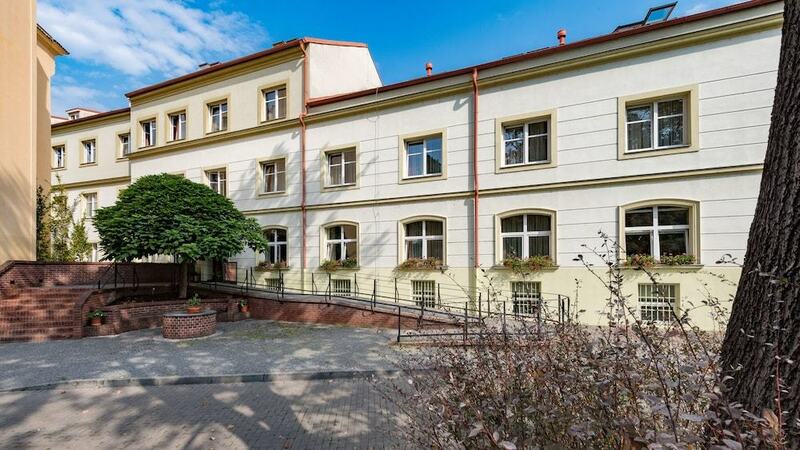 The hotel is offering 62 nicely furnished rooms to stay in to those seeking accommodation in Prague. In case you ever feel like eating in, you may taste delicious local dishes in the restaurant of the hotel. If neccessary, you may park your car at the parking place nearby. Upon preliminary notice airport transfer can be requested. You can browse the Internet for free via wireless connection (WiFi) available at the hotel. To learn more about the exact range of services of Hotel Ostruvek Prague (including services for an extra fee) and the exact equipment of the rooms, please check the information sheet below. Arrival, opening hours The earliest time of check-in is 14:00, the latest time of check-out is 11:00. The rating of Hotel Ostruvek Prague is 9.2 from the maximum 10, 44 based on actual and valid guest ratings and reviews. "A személyzet maximálisan segítőkész, szinte bármilyen nyelven (magyarul nem tudnak). A reggeli bőséges és sokféle. A szoba nem nagy, de praktikusan berendezett, nem "szűk"." "Sajnos érkezéskor tudtuk meg, hogy az étterem nem üzemel, de ajánlottak több lehetőséget is a környéken." "Kellemes, tiszta szálloda, a személyzet kedves és segítőkész. Tágas szoba, fürdőszoba." Based on the reviews and comments of actual guests, the services of the Hotel Ostruvek Prague have received a high rating of 9.2/10.